Should You Visit An Open House or Set Up a Private Showing? Are you planning on attending an open house this weekend? Or Should you set up a personal tour? That should really depend on where you are in the home buying process. The signs go up, the balloons go out. On any given Saturday or Sunday in the Franklin MA area, there is no lack of open houses to visit. Open houses. I've been hosting one almost every week for the past 26 years. Over those years, traffic counts have varied depending on the market, price point, condition, and location of the home. Having said that, the activity level on the past few opens that I have held is incredible. What's driving all this traffic? Much of it can be attributed to lack of inventory. This makes it crucial to view a home as soon as possible. Exposure is better too. No longer relying on print media, Buyers are alerted to open homes via automated email and they are promoted over the internet. Agents send their buyers to preview open homes because there is more flexibility with timing. 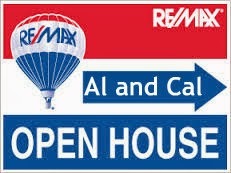 Many listing agents use the open house as a kick of to their marketing campaign. With buyers flocking to open houses, the question then becomes, is it better to visit an open house or set up a personal appointment with your Realtor? The answer to that should depend on how serious a buyer you are. If you are just starting your home search, visiting an open house can be a good, hands on approach of gaining market knowledge. It is also a good way of "interviewing" a potential agent to represent you. But, If you are well into your home search and have identified your wants and needs in terms of price, size, style and location, then setting up a personal tour may be much more effective for you. I feel this way because at many of the recent open homes that I have hosted (and visited), the traffic is so brisk that one can not really take a good look at the home. With many people filling up a room(s), it an be hard to linger and really take in the details. You might also feel pressured, and possibly undermine your negotiating position by tipping your hand to the hosting agent or to other attendees. Seeing the home without all that stimulation and traffic gives you the time to really look it over and get to know the home without others looking over your shoulder. 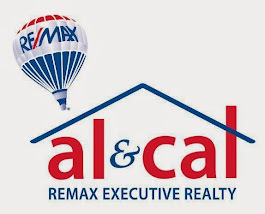 Search for MA Open Homes Here!